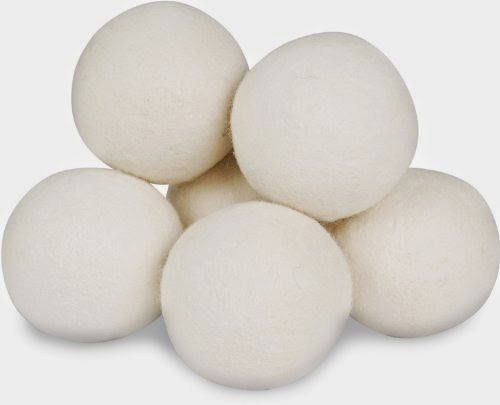 Tiny House Homestead: Wool Dryer Balls - Helpful or Hippie Hype? If you like a scent in your dried clothing, you may want to consider adding a drop or two of your favorite essential oil to each ball. I use lavender. I like the clean fresh smell. Just a drop goes a long way, so start out with a single drop and then build up as your see fit. I am going to test the dryer balls with two loads of laundry. They will be the exact same clothes just to keep the test samples equal. I will dry each the same and see which, at the end of the assigned time, is dryer and less wrinkled. 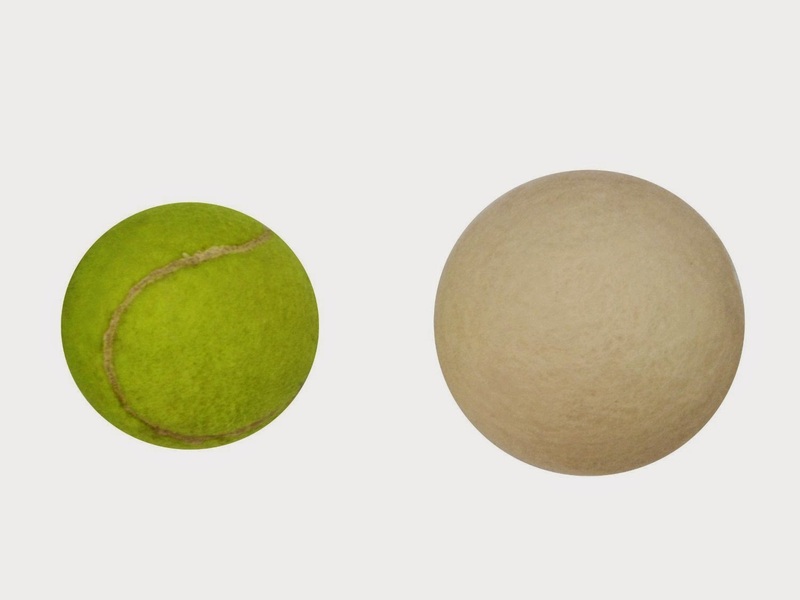 Following the instructions, I will add 5-6 balls for any large loads and 3-4 for smaller loads. Since I only do large loads, I will be adding all 6 to the dryer. I will drop one drop of lavender oil onto 3 of the balls for scent. Here we go! Test 1: Towels and a mattress pad cover: I chose to wash a mattress pad cover and set it in the dryer until the towels were washed. This way I would save energy and dry them together. Plus, this mattress pad has a high poly content which makes for lots of static. Results: Drying time didn't seem to be any shorter, but static was non-existent! Whoot! The towels were nice and soft and there was no static cling of the mattress pad to the towels. Test 2: Clothes: I washed and dried one load of darks and one load of whites. Results: No sign of static cling. Drying time didn't seem to be any shorter, but the clothes smelled wonderful since I had added a drop of Lavender oil to three of the six balls. My opinion: I am pleased with the dryer balls. I am certain my dryer is slowly dying and the dry times could be different in a newer machine. I will know for sure in about a month once my new washer and dryer are installed. I will do an update on the dry time once I have them up and running. Want a set of your own? I found the best price on Amazon here: Smart Sheep 6 Pack These are sold in a pack of six for $16.95 at the time I purchased them. I bought 2 packs since they were such a great price. The information from the company says they will last for over 1,000 washes. I figure I won't need to replace these for almost 5 years. I love anything that helps me to cut chemicals out of the equation as well as helping me save money. What do you think? 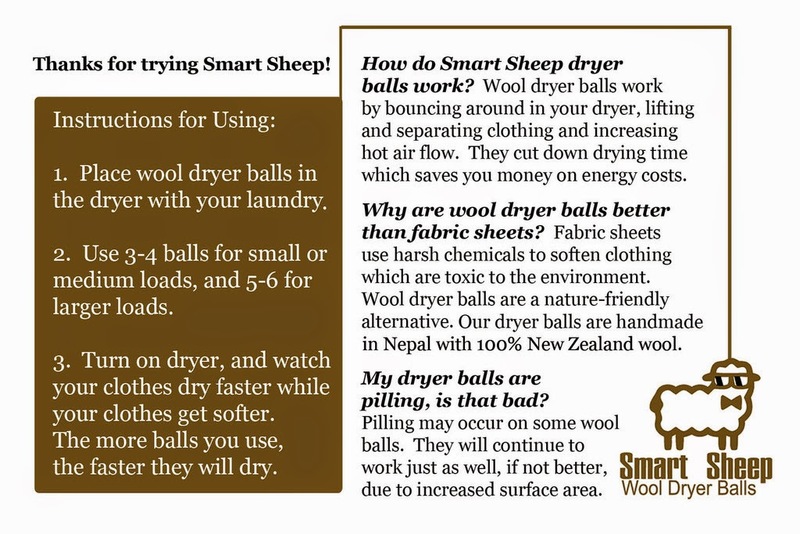 Do you use dryer balls?